Published on Saturday, February 20, 2016. 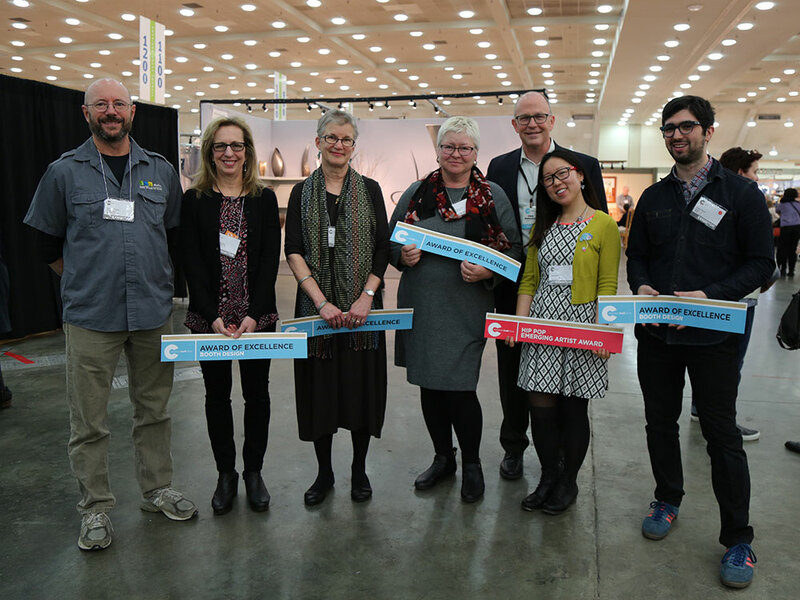 There are 660 artists exhibiting at the American Craft Baltimore Show this year. 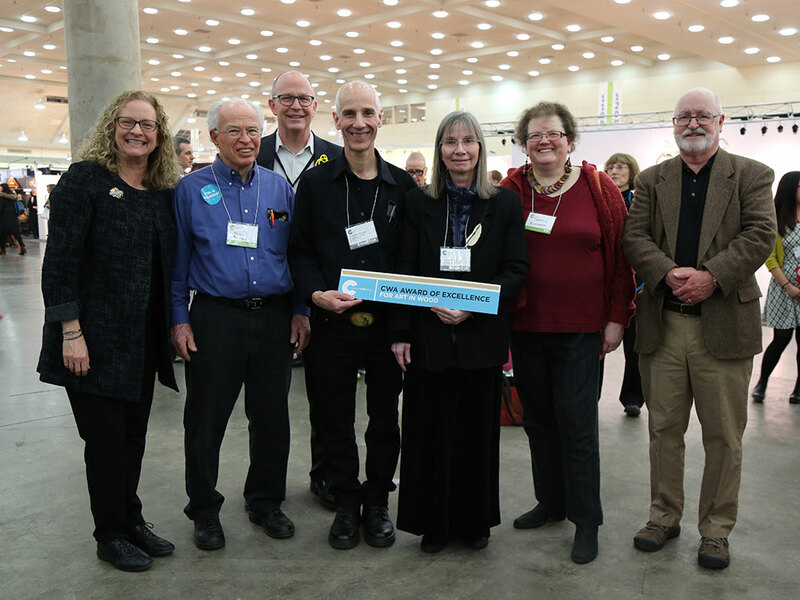 Ten of them were honored with awards on Friday. Winning ACC Awards of Excellence were paper artist Marina Terauds (booth 1019), whose work the jurors called “exquisite”; Kenny Pieper (booth 4104), praised for the consistency of his “truly magical” glass pieces; Takashi Ichihara (1204), whose ceramic pieces the jurors called “extraordinary”; and Muffy Young (1803), lauded for weaving that is both wearable and innovative. Jewelry artist Amy Blair (4806-1), cited for her “smart use of design and pattern,” won the Award of Excellence given each year to an emerging artist in ACC’s Hip Pop program. Find tickets and info for the Baltimore show. 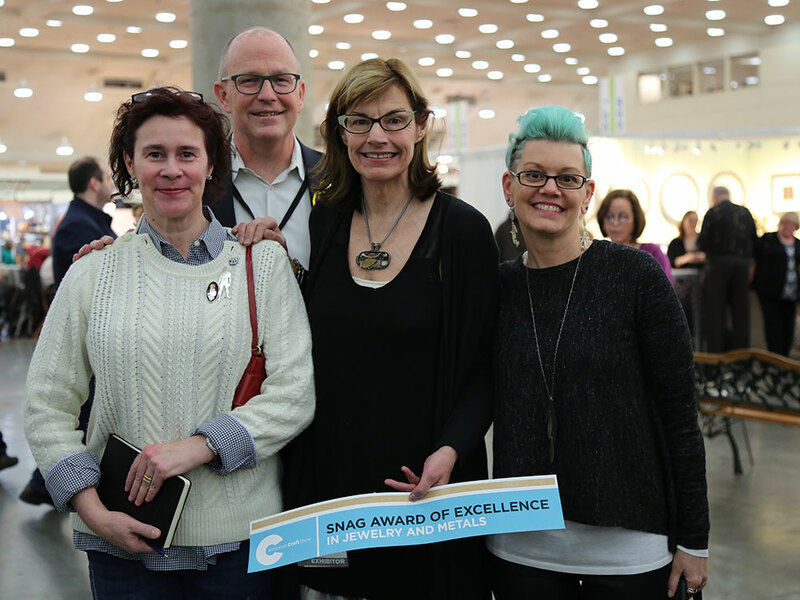 The 2016 SNAG Award of Excellence winner, Lynda Bahr, with SNAG jurors and ACC's Chris Amundsen. James Renwick Alliance Award of Excellence winner Marian Schoettle with JRA jurors and ACC's Chris Amundsen. 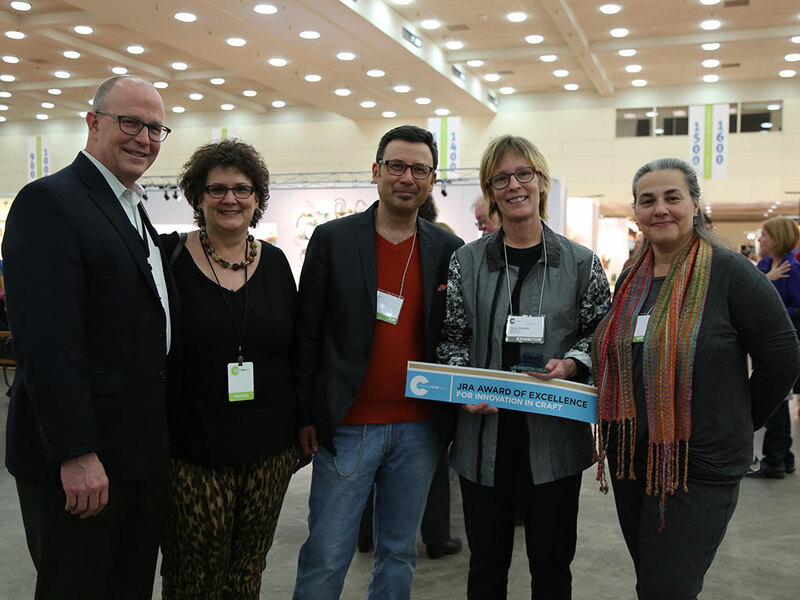 The Collectors of Wood Art Award of Excellence winners, Denise Nielsen and George Worthington, with the CWA jurors and ACC's Chris Amundsen.